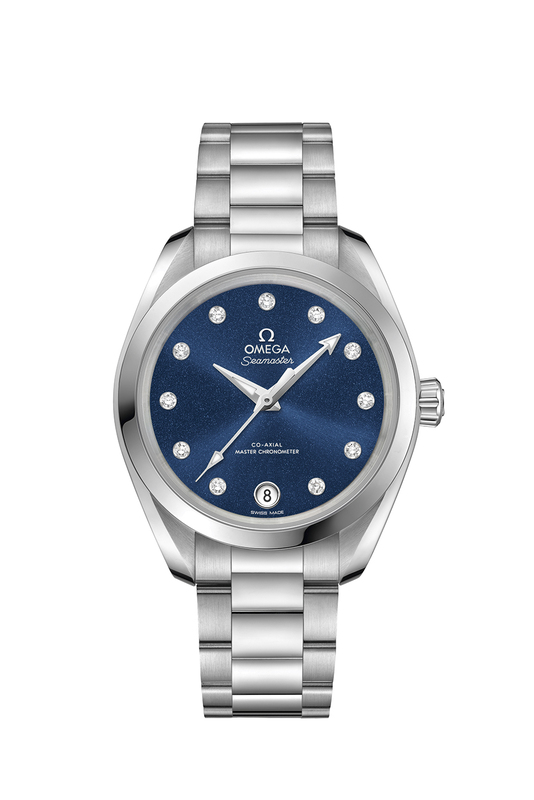 There’s something for everyone in the new collection of Seamaster Aqua Terra ladies’ watches from Omega. With 30 new models for 2017 to choose among, the new collection includes redesigned cases and dials; numerous choices of material, colour and finish; and a dramatic upgrade in technical capability. 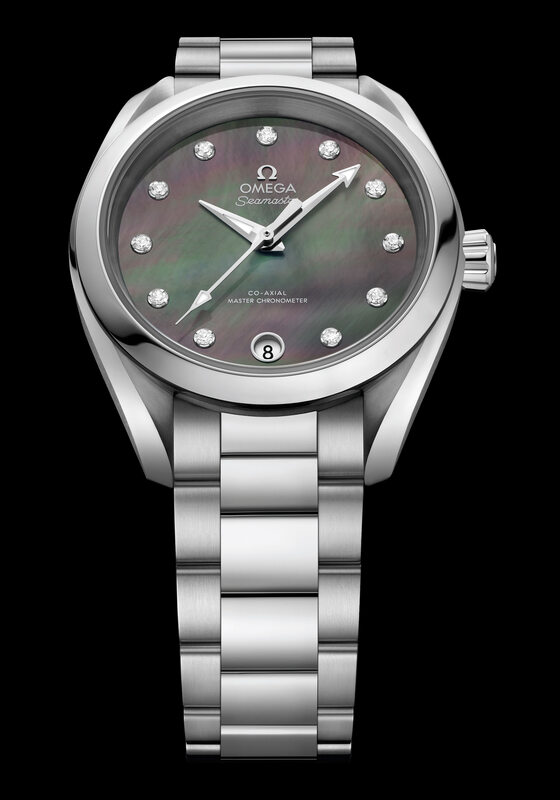 But then the Seamaster Aqua Terra collection has been upping the ante since it was introduced in 2002. “Aqua” means “water” and “terra” means “land” in Latin, and like other Seamaster models this was a collection designed from the start to be equally at home on land and on the sea: tough and reliable enough for the latter and minimally stylish enough for the former. The collection also manages to combine a classic look, featuring clean lines and its distinctive twisted lugs, with a reputation for both technical and aesthetic innovation. Over the years its most dramatic evolutions have included much-love teak-pattern dial introduced in 2008, and the >15’000 Gauss model of 2013, with its revolutionary new approach to magnetic resistance. 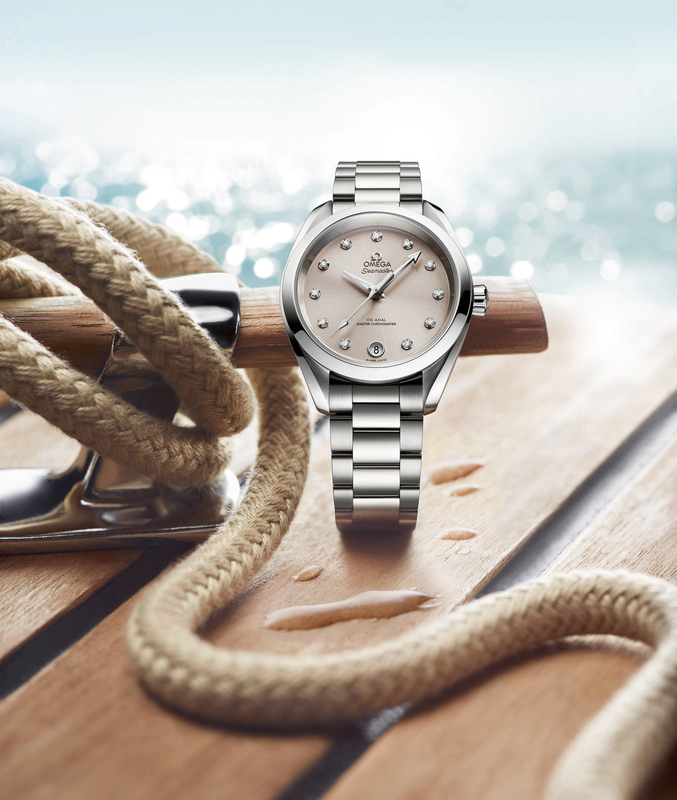 The 30 new ladies’ Seamaster Aqua Terra models for 2017, which were unveiled in a stylish launch ad campaign starring Brazilian supermodel Alessandra Ambrosio, reflect both the collection’s design heritage and its history of innovation. The watches’ 34mm or 38mm cases feature a new symmetrical design that better integrates with the bracelet, while the dials showcase a cleaner look, and come in 14 colours, and options including mother-of-pearl, glossy and shimmer effect. With the date window relocated from 3 to 6 o’clock, the dials all feature diamond indexes, and several come with a diamond-paved bezel. Most are driven by the Master Chronometer calibre 8800 or 8801, allowing them to offer sharply improved levels of precision and performance.